(Evangelical Focus) — Ten pastors and wives of an evangelical church died in the tragic plane crash near La Habana (Cuba) on Friday 18 May. 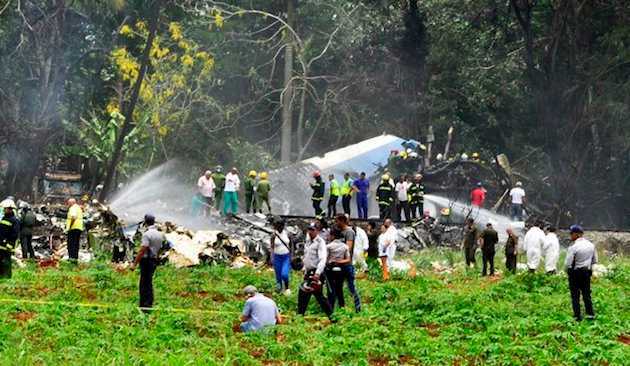 The Boeing 737 plane of the company Aerolíneas Damojh crashed minutes after taking off from the San José airport, in La Habana. The destination of the flight was Holguin, a city 800 kilometres from Cuba’s capital. Only three women of the 104 passengers and 6 staff on board have survived, authorities told the media. “The Church of the Nazarene in the region of Mesoamerica confirmed that 10 couples of pastors of our church in the East district of Cuba were on that flight,” Carlos Sáenz, regional director of the group of churches said. “We ask you with all respect to unite with us in prayer for all the families and relatives that have been affected by this tragedy. Let’s ask God for peace and strength in these moments of so much doubt, shock and pain,” he added.